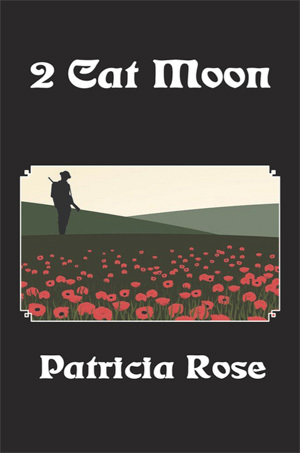 “2 Cat Moon” is the third novel in the American Sojourner Series by Patricia Rose. Book One is (A Pocket Full of Glory) Book Two is (Medicine At Crooked Hat) In this story Chastine Beaumont’s granddaughters struggle with the First World War, Prohibition and the Great Depression. Their relationships, loves and losses helps create an enduring saga. Follow them from Philadelphia to the mountain homes of the Sierra Nevadas and Montana as their families learn about their roots and help shape the history of this country in finding what it means to be an American. Patricia Rose Lives in West Michigan and is an author, playwright, poet and historian.